New to Manchester this September? We’ve got your back. We give you a heads up on the best places to hunt for records, the best place to catch a gig and the best place to take your mates for a pint. 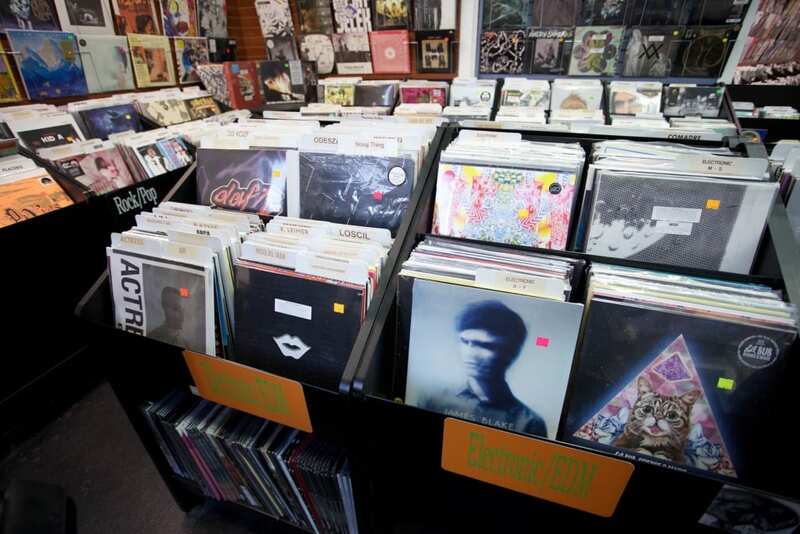 Manchester has long been one of the best cities for record shopping. Whilst the Northern Quarter is somewhat of a record shopper’s mecca, recent years has seen certain gems popping up all around the city. Whilst Piccadilly Records and Vinyl Exchange continue to reign downtown, it’s also having a rummage through the collections at Clampdown Records, Empire Exchange and of course Eastern Bloc which is the place to find your Techno, Drum & Bass, House & Electronic music gems. Once you’ve purchased your Magicbus weekly pass, it’s worth hopping on a bus to Withington to check out new hot spot Deco Records which is a great place to catch a local band while you have a coffee. Top 5 venues: For gigs, Gorilla and Deaf Institute are my favourites as you get amazing smaller acts there and the sound/atmosphere is always great. Matt & Phred’s should be on every musician’s list for Manchester and HOME is a great venue for meeting friends/colleagues and has awesome films & food. The Whiskey Jar in Northern Quarter is great for its Open Mic night – and has top quality musicians doing stripped back acoustic versions of tracks. Top bars: Eastern Bloc / Soup Kitchen : The Stephenson Square area in the Northern Quarter is great for drinks and coffee, particularly in summer as there’s lots of places to sit outside and people watch. Beech Road in Chorlton is a nice place to go if you fancy bar hopping. Lots of small cosy bars with good atmosphere. The Refuge is fancy, but beautiful. The Grade II* Listed building has a stunning indoor garden area as well a courtyard which hosts some pretty ace events throughout the summer. Top 3 Venues: O2 Apollo has a great sound and you can see from anywhere! Academy 3 – The smallest Academy but has the best sound and vibes, Soup Kitchen has a good bar upstairs, club nights and bands downstairs. When it comes to music venues, Manchester can compete with the best as the city is abundant with great places to see live music. If you’re living in the town centre Gorilla and The Deaf Institute should be on your list of go-to venues. 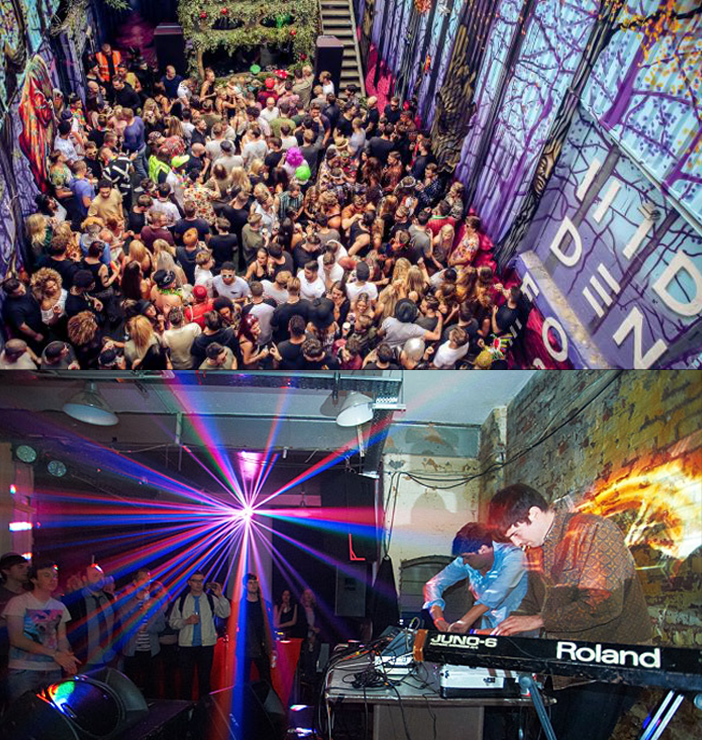 Both offer the chance to see bands and DJs in a small intimate environment which makes for a great atmosphere. Moving towards the Northern Quarter and you should take the time to check out the downstairs event list on offer at the Soup Kitchen. Their eclectic listings include everything from pounding techno to psych rock and almost everything in between. Across the road is Eastern Bloc and around the corner is Night and Day. The Northern Quarter is a great place to start if you’re on the hunt for a great night out and almost every taste is catered to. 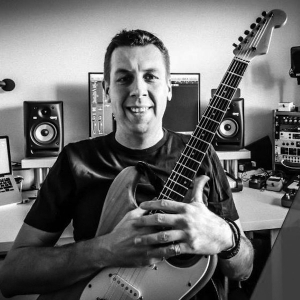 Even if Jazz isn’t on your list of interests, it’s worth checking out Matt and Phred’s simply for its unique atmosphere. The venue is one of the best places in the city to catch a live jazz band and offers up an alternative night like no other in Manchester. Outside the city centre and there are a few places worth mentioning. Just a short walk from SEM is The White Hotel, probably Salford’s best underground venue which exists in an old warehouse unit on an industrial estate and in the opposite direction, you’ve got Hidden, Indigo and Cubo which all host a selection of great house and techno nights. If you’re on the lookout for somewhere to have a pint, there’s a good selection of places to start your night near SEM. Sharing Bexley Square with us is The New Oxford which draws in a mixture of students, locals and musicians from SEM and right next door, we’ve got the Deli Lama which offers a small cosy cafe area in which you can have a drink and often listen to live music. 5 minutes up Chapel Street will bring you across The Old Pint Pot which is two floor quirky pub attracting the hipster crowd. Heading into town and once again we’d recommend the Northern Quarter as a top place for drinks. 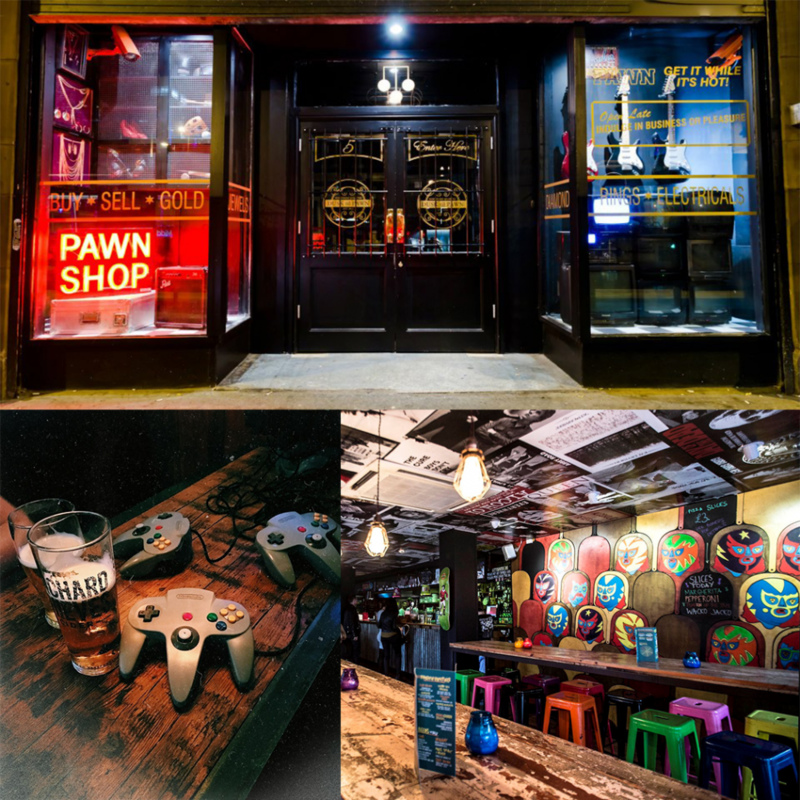 Places to discover include Crazy Pedro’s, Dusk Til Pawn (a secret bar designed in the style of a pawn shop), Hold Fast ( a bar in which you can play Nintendo with your mates while you drink) The Washroom (a bar disguised as a launderette) and Twenty Twenty Two ( the city’s best ping pong bar).